Seagate’s newly announced 14 TB drives cover NAS, desktop, surveillance and hyper-scale applications. But they ain't cheap! Starting with NAS, Seagate’s Iron Wolf and Iron Wolf Pro HDDs are designed for always-on applications that require reliable performance from network attached storage systems. Both Iron Wolf drives use Seagate’s Agile Array firmware, providing performance and power management enhancements, as well as dual-plane balance, rotational vibration sensors, and error recovery control. Both Iron Wolf drives also include Seagate’s embedded Iron Wolf Health Management, adding embedded analysis functionality, status updates and drive health information. The first draft 11ax routers are almost here. Take a little time to know what you might be buying into. Directed at the SMB market, the new Cisco Meraki Go 802.11ac APs are available in two models; a GR10 indoor access point and GR60 outdoor access point. 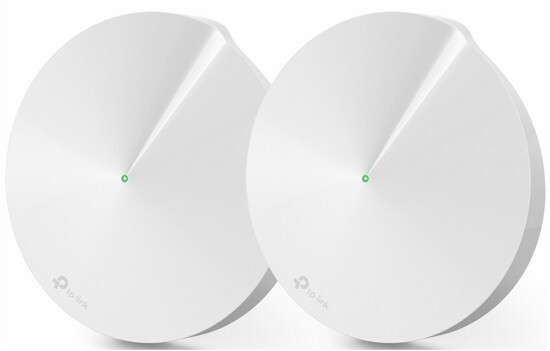 Both Meraki Go APs are dual-band 2x2:2 MIMO devices using internal omni-directional antennas, supporting SU-MIMO and MU-MIMO, MRC, beamforming, and packet aggregation. Meraki Go APs can be powered by either 12 V DC or 37-57 V PoE. 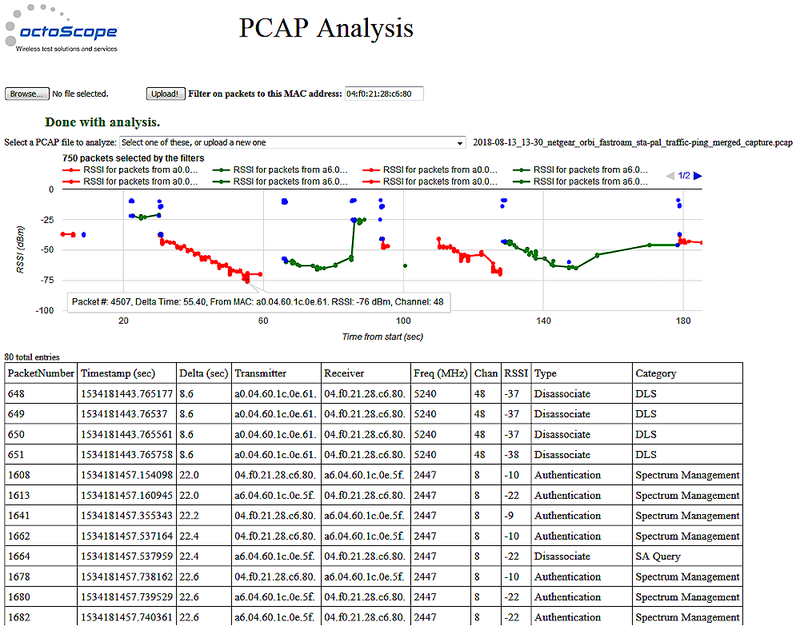 Per Cisco, management and installation for the new APs is easy and streamlined. Using the Meraki Go app for iOS and Android, network admins can remote manage their wireless networks employing features such as web blocking, guest networking, usage limits and alerts. AP management is by app only. Powered by QNAP’s QTS operating system and AnnapurnaLabs Alpine AL-324 quad-core 1.7 GHz Cortex-A57 processor, the 3-bay TS-332X tower NAS is available in two models configured with either 2GB or 4GB DDR4 RAM (expandable to 16 GB). Along with two GbE ports, the TS-332X comes with a 10 GbE SFP+ network port, targeting faster application throughput. Storage-wise, TS-332X supports up to three hot-swappable 2.5/3.5-inch SATA 6 Gbps HDDs/SSDs, but also adds three M.2 SSD slots, making TS-332X a likely candidate for RAID 5 storage auto-tiering when used with QNAP’s Qtier application. VJBOD is also supported, allowing the TS-332X to iSCSI mount to other QNAP NAS products to create a larger storage pool. Other TS-332X interfaces include three USB 3.0 ports, and one 3.5 line-out audio jack. The QNAP TS-332X is available now. Here's the pricing according to QNAP. 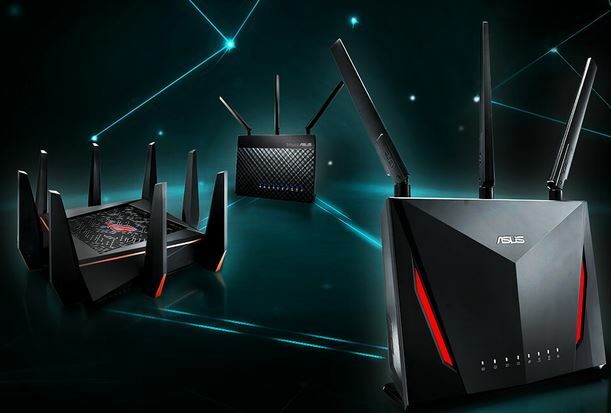 NETGEAR announced the Nighthawk Pro Gaming XR700 WiFi Router at IFA yesterday. 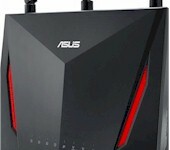 The XR700 takes a path similar to the NETGEAR's XR500, by reskinning an existing router and powering it with DumaOS. This time, it's the AD7200 class R9000 that gets gamified, bringing along a 60 GHz 802.11ad radio that will provide little value for most gamers. Otherwise, the specs are the same as the R9000, which includes four-stream MU-MIMO enabled 802.11ac WiFi (maximum link rates of 1733 Mbps @ 5 GHz and 800 Mbps in 2.4 GHz), single-stream 60 GHz 802.11ad radio, Gigabit Ethernet WAN (1) and LAN (7) ports (two aggregateable), one 10 Gbps SFP+ port and two USB 3.0 ports for storage sharing. DFS is supported to provide additional 5 GHz channels to get away from pesky neighboring networks. Software features include Plex media and OpenVPN servers and ReadySHARE storage support. NETGEAR just announced a smart-speaker version of its popular Orbi Wi-Fi system at IFA. Orbi Voice is the first "smart speaker" to also include a fully functioning Wi-Fi system node. Its Alexa-powered features come via a four mic, two speaker audio subsystem with 35W of peak power from Harman Kardon. Due to the extra space taken up by the speaker, the RBK40S satellite has a two-stream backhaul, even though NETGEAR describes the RBK50V kit version as an AC3000 class system. There are also only two gigabit Ethernet ports vs. the four usually found in Orbi. Like all other Orbis, Voice is built on a Qualcomm platform. It supports everything other Alexa-powered speakers can do, including streaming music from Pandora, Spotify and, yes, Amazon Music. And, of course, it will let you order more stuff from Amazon. 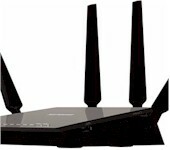 TP-Link today announced it will be shipping a four-stream router based on Intel technology later this year. The Archer C2700 is a four-stream AC2600 class router supporting maximum link rates of 1733 Mbps in 5 GHz and 800 Mbps in 2.4 GHz. 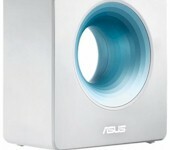 It follows Phicomm's K3C and ASUS' Blue Cave to market as the third Wi-Fi router based on an Intel platform. Devolo will announce its Magic Wi-Fi system at IFA 2018. 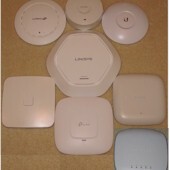 The system pairs dual-band Wi-Fi access points with second-Generation G.hn powerline to produce a Wi-Fi mesh system that uses powerline for backhaul instead of Wi-Fi. The company said the product provides mesh Wi-Fi with fast roaming, band steering and Airtime Fairness features. The adapters are self configuring and will automatically find and link to each other within two minutes of being plugged in. Although not in the Devolo press release, WiFiNow reports that the system uses the new Wi-Fi EasyMesh. However, a check of the Wi-Fi Certification database still shows no products as EasyMesh Certified. In our latest exploration of Wi-Fi Roaming, we take a look at the roaming behavior of five Wi-Fi systems. The dual-bay QNAP TS-215B NAS, designed for home and small office use, is powered by Intel’s 14nm Celeron J3355 dual-core 2.0GHz processor, 2 GB or 4 GB dual-channel DDR3L SODIMM RAM (upgradable to 8GB) and supports 3.5”/2.5” SATA HDDs or SSDs. TS-215B gives QNAP customers a single PCIe slot that can be used to add an expansion card, opening up options to add M.2 SSD caching, 10 GbE, wireless networking, or more USB 3.1 ports. Additional features include 4K HDMI output, AES-NI hardware-accelerated encryption and snapshot support. Other listed TS-215B interfaces comprise of a single GbE LAN port, HDMI v1.4b, two USB 3.0 Type-A ports, three USB 2.0 Type-A ports, speakers jack, two 3.5mm microphone jacks, a 3.5 mm line out and an IR sensor (remote not included). ARRIS last week announced what it says is the first product to receive Wi-Fi EasyMesh™ certification from the Wi-Fi Alliance. The VAP4641 is a dual-band two radio extender with four-stream 802.11ac 5 GHz and two-stream 802.11n 2.4 GHz radios. The 5 GHz radio supports MU-MIMO and 160 MHz bandwidth. Other features include automatic discovery and setup, automatic Wi-Fi configuration distribution, band steering and 802.11k, v and r roaming assistance. Although positioned as a "mesh" solution, the heart of EasyMesh is the draft Multi-AP spec, which is neither mesh-specific nor particularly focused on mesh. Arris' announcement included neither price nor availability. [Sponsored] Is Cloud-Based Network Management Right for You? Cloud managed networks aren't just for Enterprises anymore. 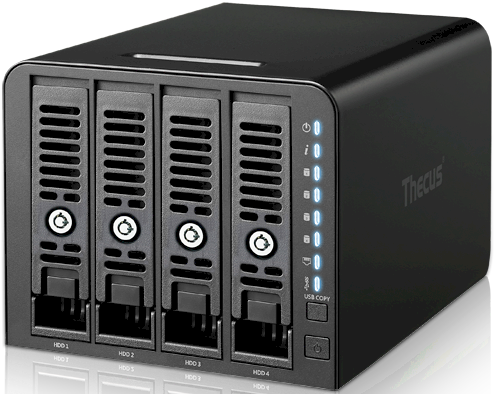 Thecus' N4350 is an entry-level four-bay SOHO NAS with little to recommend it. Originally announced during CES 2018, Netgear Armor Powered by Bitdefender is now available for the Nighthawk AC2300 Smart WiFi router (R7000P) and the Nighthawk AC1900 Smart WiFi Dual Band Gigabit Router (R6900P). Downloadable via a firmware update, Armor was designed to protect and combat threats attacking consumer networks, particularly at a time when the number of connected devices in the average home continues to grow thanks to IoT and smart devices. Netgear Armor is a subscription-based service (with a free 90-day trial) that protects connected devices from online threats, such as viruses, malware, spyware, phishing and ransomware, by blocking dangerous sites and notifying Netgear owners via the Nighthawk App whenever a malicious threat is detected. 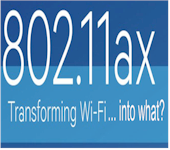 Service-provider Charter, announced it will be offering 802.11ax routers– a first among broadband service providers. The newer standard, which is still in draft form and not slated to be finalized until late 2019, is designed to work better in congested areas, particularly in densely populated wireless networks that continue to grow thanks to IoT and smart devices. Charter's announcement did not include when the 11ax router would be available or the cost of service plans that support it. But a Qualcomm-based four-stream router manufactured by Askey appeared in the FCC database in June. TP-Link's Deco M9 Plus brings lots of features and a third radio to the Wi-Fi mesh system party. TP-Link has announced two additions to its Kasa Smart Home product line. TP-Link’s new Kasa Cam Outdoor Camera is built within a IP65 rated casing designed to withstand the elements, operating within temperatures ranging from -4˚F to 109˚F. The camera provides a 130° field of view at 1080p and night vision range up to 30 feet, while customizable activity zone settings and motion detection features help Kasa customers fine tune activities the camera records. For audio, the Kasa Cam comes with push-to-talk two-way audio communication, as well as a built-in 80db alarm to deter intruders. With free cloud storage for up to two days, content from the Kasa Cam Outdoor Camera is viewable from the Kasa Smart mobile app or smart devices like the Amazon Spot, Fire TV, or Google Chromecast, while other storage plans stretch retention time to 14 and 30 days. The third in QNAP’s SMB-targeted 9-Bay NAS series (TS-932X is AnnapurnaLabs-based and TS-963X is AMD-based), the TS-951X sports a 7th-generation Kaby Lake 14nm Intel Celeron 3865U low-power dual-core 1.8 GHz processor and is available in either 2 GB DDR4 RAM or 8 GB DDR4 RAM flavors with both models upgradeable to 32 GB RAM. Designed for storage tiering, the 9-bay hybrid NAS has five 3.5-inch HHD bays and four 2.5-inch slots designated for SSDs. 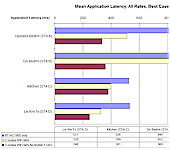 When used with an auto-tiering solution, customers can benefit from the TS-951X’s design as it allows hot data to run off the SSDs, while putting less used cold data on the HDDs. Interface-wise, the TS-951X also includes a 10 GbE port and a GbE port, three USB 3.0 ports, HDMI output up to 4096 x 2304, 24 Hz and an IR sensor. Designed for home and SOHO customers, the AS3102T v2 and AS3204T v2 are powered by Intel Celeron 1.6 GHz processors with AES-NI for encryption; a dual-core CPU with 2.16 GHz turbo for the 2-bay model, and quad-core CPU with 2.24 GHz for the 4-bay model. Each desktop model also runs on 2 GB of RAM and includes dual GbE ports with link aggregation, three USB 3.0 ports, HDMI 1.48, and an IR receiver. Each NAS ships with the latest flavor of Asustor’s ADM OS and uses downloadable apps available from the company’s App Central repository, enhancing the NAS’ usability as an entertainment (multimedia), security (cameras) and storage (cloud hooks, backup) device. Asustor also touts that ADM 3.2’s updated EZconnect offering improves upon previous versions of its remote access utility, integrating Cloud ID as a way of securely accessing AS3102T v2 and AS3204T v2 NAS devices remotely.